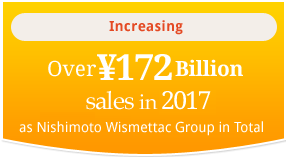 Wismettac Asian Foods, Inc. (formerly Nishimoto Trading Co., Ltd.) is a vital part of Nishimoto Wismettac Group which has over 1,500 employees at 47 branches and offices globally and now generates over 172,000 million JPY sales in 2017. 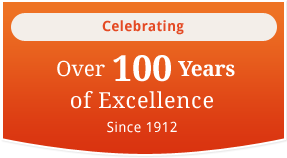 Wismettac Asian Foods, Inc. was established in Kobe, Japan in 1912 and is one of the oldest and most experienced importer, wholesaler and distributor of Asian food products in North America. We have achieved this success through the hard work of our employees, who have superior knowledge and experience in this industry. 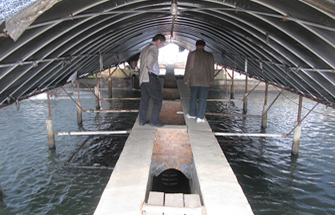 Our growth and success can also be attributed to the continued support and cooperation of our customers and suppliers. For this we would like to express our sincere appreciation. We are known for producing the Shirakiku brand® products. The Shirakiku name brand became popular in many Japanese households from the very start in the United States and is now recognized as a brand of choice all over the world. Today, Wismettac Asian Foods, Inc. has expanded beyond just food products. We provide various customers with a comprehensive range of items, which includes wholesale items, kitchenware, household products and hair products to name a few. With over 6,500 items, we believe that we carry just about every imaginable product in this industry. Our goal is to satisfy the evolving needs of our customers by providing unparalleled service and superior products to them. We wish to continue enjoying the close relationships with our customers and suppliers that we have in the past and to work together to further develop high quality and innovative products as well as to assure a stable supply of such products to our customers. We will always preserve the competitive and entrepreneurial energy that has enabled our company to grow and succeed, and we will carry it with us into the future! 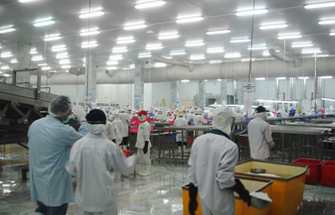 At Wismettac Asian Foods, Inc. we strive to assure our customers that every aspect of our business from production area to our valued customers to maintaining a controlled warehousing facility for your food service and consumer needs is constantly being monitored by our quality control and safety engineers. With growing public concerns on health and safety issues in the food industry, we cannot leave any rock unturned to risk any possibility of unsafe products being distributed into the food chain. Food safety is our utmost concern and we continually maintain a safe Seafood HACCP Program including our own stringent Health and Safety Procedures when handling any perishable or non-perishable product. So what do we do to ensure the safety of our products? 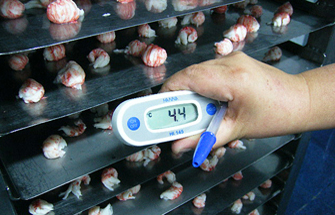 We routinely monitor product quality and food safety systems by sending our Food Safety Team to production regions and manufacturing facilities, foreign and domestic, for inspection and to make sure they’re operating under well-structured food safety programs at the highest standards to comply with government regulations. We only supply products manufactured in facilities that meets these standards; meaning products are harvested, packed, processed and handled in manner that compatible with destination country’s regulatory requirements. In addition, we educate our staff member by in conjunction with regulatory agencies (such as FDA and USDA in America) to obtain the most up-dated regulatory information. 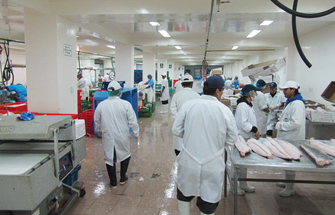 We also have developed and established internal food safety programs such as Facility management program, Employee hygiene and sanitation practices, Internal HACCP Plan, Recall plan, and Monitoring and documentation of all of the above to ensure that all products are handled and stored in appropriate conditions and methods. As result of these efforts, we pride ourselves in our Quality Assurance and Food Safety programs to insure that our customers receive the highest quality and safest products in the industry today! Wismettac Asian Foods has developed a reputation for our “commitment to our customers.” As our society has become increasingly service-oriented, Wismettac Asian Foods has remained dedicated in providing the best selection of Asian Food Products to our customers. With a large number of employees dispersed throughout the nation and parts of Canada, it is necessary for all of us to work together to achieve our purposes and objectives. Although there is room for individual accomplishments and creativity, all of our efforts are channeled towards a common goal, which is to provide our customers with Asian Food Products. 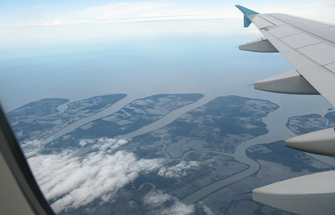 Wismettac Asian Foods, Inc. maintains branches and satellite offices throughout the United States and Canada. Search by country, type of facility or click on the list or map markers to identify a specific location. 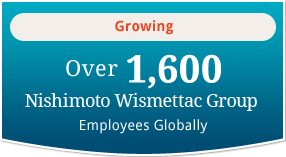 Nishimoto Wismettac Group companies are located globally. Click on the list or map markers to identify a specific location. Q1. Which state and area do we cover for the delivery by our trucks? Q2. Do we sell our products to consumers directly? Unfortunately, we are not open to the public. We sell to retailers or wholesalers only. Q3. Is it safe to eat products from Japan after a nuclear power plant accident? We as a company pride ourselves in taking care of our consumers not only by providing the best products available but safe to eat too. 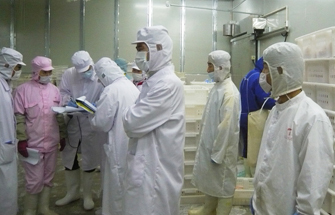 After this crisis occurred in Japan we knew proper measures needed to be taken in order to protect not only ourselves but our consumers from potentially contaminated food. We work closely with the U.S. Food & Drug Administration (FDA) and they are taking every measure necessary to assure we can offer our customers safe and whole products which have passed all applicable tests and regulations. 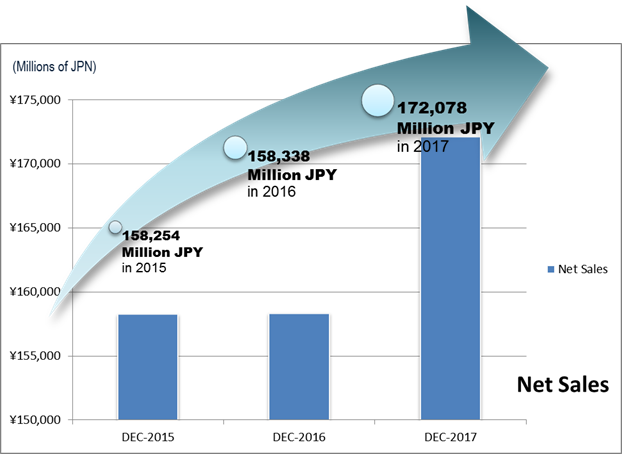 For newly arriving products originating from Japan, only products that are deemed acceptable by both the Quality Assurance program implemented by the Japanese Ministry of Health, Labor and Welfare and the policies and directives of the FDA shall be allowed to be distributed by our company. There are no concerns for imported products that are already in the United States or are in distribution. Please see detail information as following websites. Q4. How can you set up an account and how long does it usually take to set up the account? For new customers, you need to fill out the credit application form from Customer Application page. We also request you to submit a copy of your resale certificate. The resale certificate form is available online from here. If you prefer paper application forms, please contact one of our local sales representatives to set up your new account. It usually takes a few days to establish a new account once necessary forms are submitted. Q5. What is warning statement about product contains chemicals that causes cancer or reproductive harm? The warning statement is required by State of California and is called Proposition 65. The purpose of Proposition 65 is to notify consumers that they are being exposed to chemicals that are known to cause cancer and/or reproductive toxicity, so that consumers can decide on their own if they want to purchase or use the product.